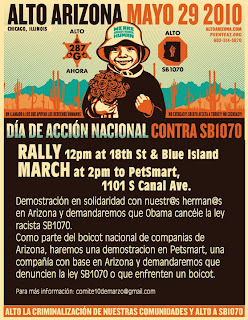 PROTEST in solidarity with our brothers and sisters from Arizona and DEMAND Obama to nullify the racist SB 1070 law. On May 29th at noon, RALLY at the corner of 18th st. and Blue Island Ave., in Pilsen, to share political speeches and cultural performances. 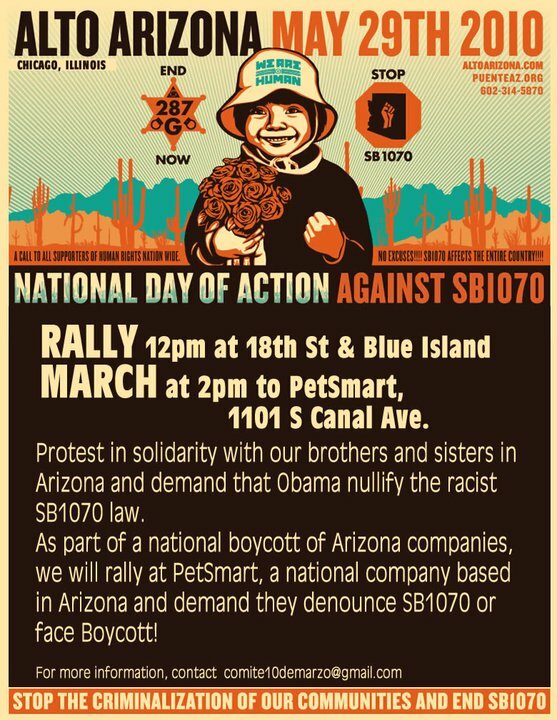 At 2 PM, MARCH toward the PetSmart located on 1101 S. Canal Ave., Chicago. 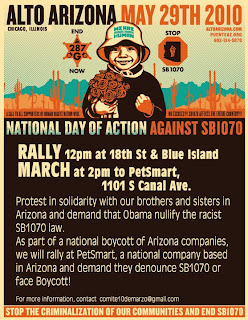 PetSmart is an national company based in Arizona, to which we demand to denounce SB 1070, or face BOYCOTT. 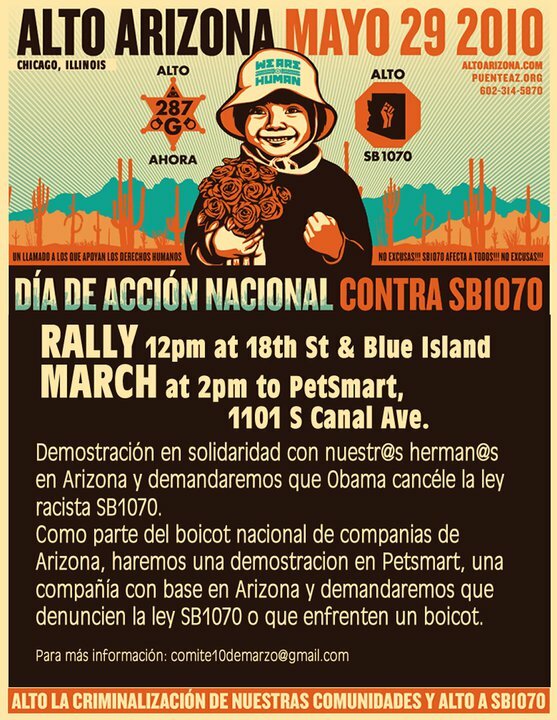 Join us in demanding amnesty for all undocumented workers, building the immigrant rights movement, and in spreading the word about this action.